Before the fireworks commence on July 4, come run with us! 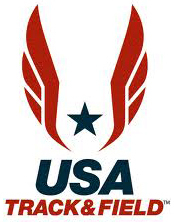 The 5K course is a USATF certified course that follows the scenic trails through Fort Worth’s Trinity Park. Runners of all ages and abilities are welcome to participate. Walkers and baby strollers are also welcome. The 1 Mile Fun Run starts at 7:10 a.m. The 5K starts at 7:30 a.m. Awards will begin at 8:30 a.m. The run is FREE for ages 10 & younger and 70 & older, but you still need to register! T-shirts are included in paid registration. If you are a FREE participant, and would like a shirt, please order one for $10 to cover the cost. Typical race food and drinks will be provided following the run. We look forward to celebrating with you on the 4th of July! Copyright © 2019 Annual Firecraker 5000. All Rights Reserved. Powered by The Driven Race & Club Solutions.